Our tiki triangle bikini top is a best-seller and a definite must-have for your swimsuit kit. Featuring removable soft pads, adjustable ties at back and neck, and a Roxy metal logo plate. ROXY™ Womens Surf Essentials Tiki Tri Separate Bikini Top - Our tiki triangle bikini top is a best-seller and a definite must-have for your swimsuit kit. 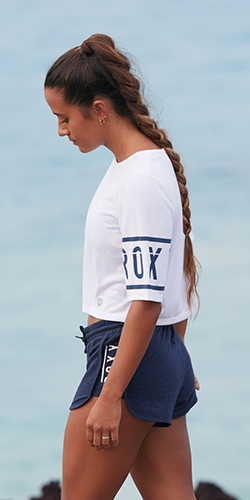 Featuring removable soft pads, adjustable ties at back and neck, and a Roxy metal logo plate.